our family has always been lovers of all things crayola. i refuse to buy any other brand of crayons and markers. it's just my opinion but, the colors are more vivid and they color more evenly. i do believe my kids are turning into crayola crayon snobs, too. As Crayola helps keep your kids occupied in the backseat this summer, you can enjoy the ride because Crayola Color Wonder products are made to let kids express themselves without making a mess. 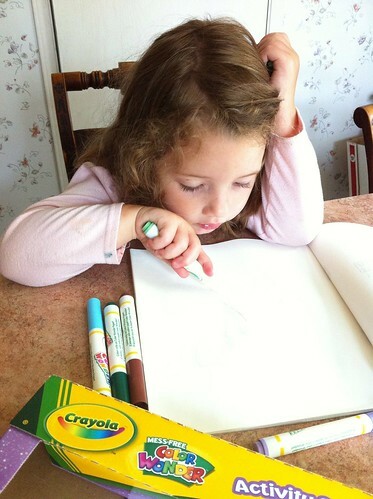 *With over 10 feet of coloring, the compact Color Wonder On the Go Tiny Tube lets kids tear off a perforated activity page for magical coloring fun at home or on the road. The tube fits in the cup holder of a car and can store the included markers inside, making it a perfect on-the-go activity. Adhesive-backing allows paper to stay in place while coloring so kids can easily create anything imaginable. Bring your friends on the road with the Disney and Barbie Crayola Color Wonder Mini Coloring Pad and Markers. With more pages than ever, kids will enjoy coloring a variety of pictures featuring some of their favorite characters. These fun coloring pads are also available in mini sizes that are perfect for tucking into a bag and bring them with you wherever you go. *Get back to basics and allow kids to draw what they see outside their car window or daydream and draw whatever they imagine with the Color Wonder Coloring Pad. Kids will be entertained in the back seat with 5 sheets of Color Wonder paper and 2 Color Wonder Markers that only leave a mark on special Color Wonder paper. Create, erase, and create again with Crayola Dry Erase products that allow kids to unleash their inner artist over and over without carrying around hundreds of sheets of paper. *You’ll be all packed up and ready to go with the Crayola Dry Erase Travel Pack that features a dry erase surface, along with dry erase crayons, an eraser and a sharpener to help sustain hours of fun. Take out the game and activity templates and let kids challenge each other to different games using vibrant, washable markers. *Everyone can get in the game with the Crayola Dry Erase Zany Play that comes with four bullet tip dry erase markers and boards that your family can use to play games like tic-tac-toe, the dot game and mazes. dontcha wanna see what you'll win? you will get one of each of everything pictured here. leave a comment on this post giving me a summer activity that will bust boredom. there's four entries towards a great big box of crayola goodness! 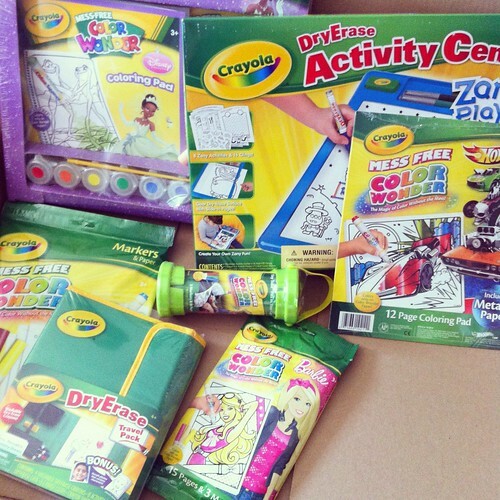 giveaway ends on july 11.
disclosure: the information, products and additional crayola summer fun gift pack was provided by crayola® through myblogspark. Painting is always a boredom buster! Running around in the water sprinkler busts boredom...and coloring with Crayola! Yay crayola!!! Our summer boredom buster is the sprinkler...I put it on only a foot and a half high for my 2 year old and she will spend hours in it "washing" herself, washing her ducks, drinking from it and so much more. We would be more than thrilled to bust duller days with this amazing prize!! Playing in the sandbox always busts my children's boredom. Painting! We do it alllllll the time! We love crayola. A new summer boredom we did this summer was put together a puzzle. It had 450 pieces and we left it on the table for a few weeks and would work on it when we got bored. Even my 5 & 6 year old helped sort pieces. We help beat the heat by going to the sprinkler park or indoor activities such as building with mega bloks or color sorting with craft pom-poms and a muffin tin. Thanks for stopping by as the noonday! What a fun giveaway over here, too. My kids are crazy about art. They would love this package! My fave summer boredom buster: building elaborate forts in the kids rooms with blankets, etc. and then letting them fill the forts with books & flashlights and carpet-friendly snacks. Hours of entertainment!! We do water balloons and the water slippy slide to fight boredom. When it rains, we have to rely on drawing, coloring and movies! we love swimming in our pool! We love to run in the sprinkler and play in the park! And we absolutely LOVE coloring!!! we just added another item to our bucket list this past week that is to create a super long picture just like in the movie, Ramona & Beezus. i am going to an office supply store this week to buy a long roll of paper. another boredom buster that we are planning is a paint fight. i just bought my kids each a white tshirt and some non toxic paints for them to use for this. i think i am more excited than they are. i am following via GFC also. Baseball has left us no time for boredom this summer!!! I follow your blog Jamies Cupcakes and Cake Pops! :) btw I MISS YOU!! we go to the pool to bust boredom. Thanks for the chance to win! We love bubble blowing and water balloons! 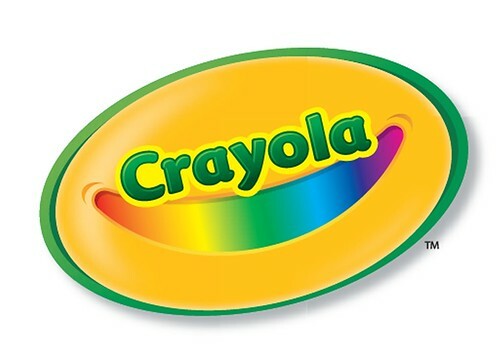 Crayola is my brand choice as well! Swimming is the best summer bored buster! My children and I LOVE crayola. Anything Crayola usually cures boredom or anything outside with water will do the trick.